MHN Productions came up with a dashboard base plate for shooting inside, and a license plate mount for more dramatic outside shots. 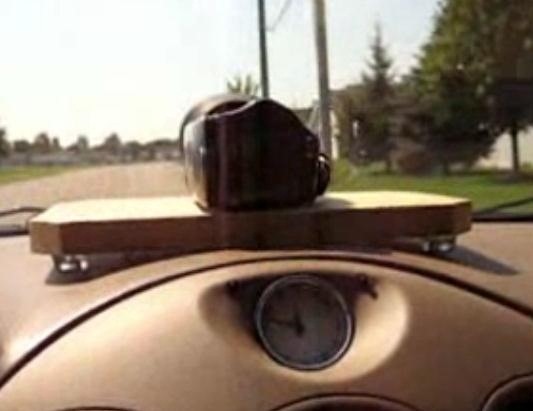 For the dashboard mount, you'll need a piece of wood, four rubber feet, and a bolt. 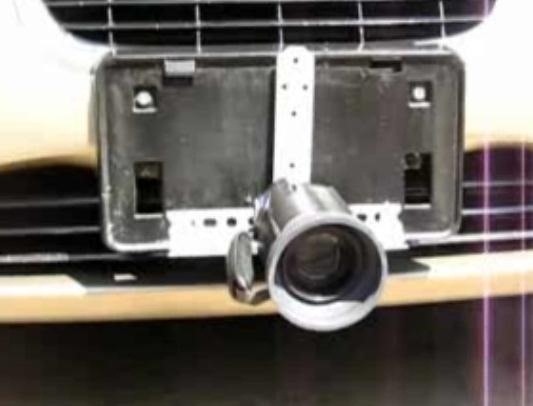 The license plate mount is just angled steel and an L bracket. MHN Productions shows the whole step-by-step process in the video below. This dashboard mount basically consists of a peanut sponge, a rug pad to hold it in place, and a few weights if you're using a light camera. In the video below, Ben Gill uses two D batteries and a roll of coins. 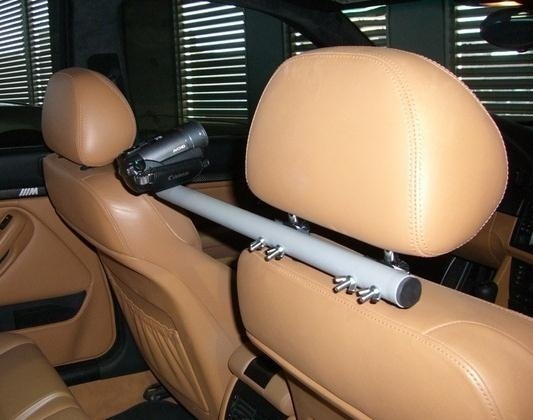 You can make a headrest mount in about ten minutes with just a piece of 3/4" PVC conduit pipe, two U-bolts with wingnuts, and a bolt for the camera mount. You can also add rubber pads for safety like russap5 did below. Check out his full post for more details and photos of how he made it. 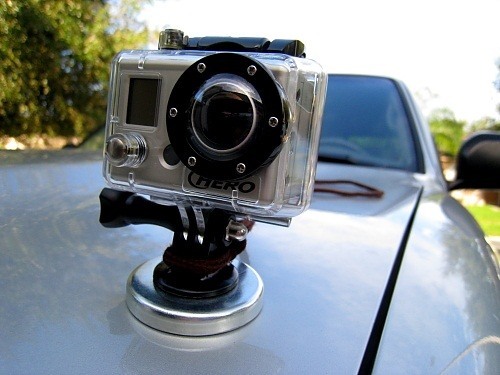 Here's a great, simple magnetic mount for a GoPro camera by GetawayMoments that you can attach to the hood of your car. You can visit his blog and watch the video below for more details if you want to make your own. If you'd rather not use a magnet on your car, try this suction cup camera mount. Don't have a car? You can also make cheap DIY mounts for your bike or motorcycle. As a GoPro owner I always suggest a GoPro over anything else :p.
They also make a really good suction cup mount if you're too lazy to build one yourself, like me. I'm thinking of getting one of those GoPros for shots I'd rather not take with my DSLR, plus it's size would probably be great for any POV shot where you don't want to mess with a bulky DSLR. They are seriously worth it!